Innovations in building envelope design typically take one of two forms. The first concerns the materials themselves, and the application of developments in the science of glass, metal, concrete, wood, and plastics to architecture. The second has to do with how the facade mediates between the building interior and the environment. In a world of extreme weather events and rapid sociological change, architects must invent new ways to marry flexibility, resilience, and sustainability in facade design. The six Dialog Workshops at April’s facades+PERFORMANCE conference in New York offer opportunities to explore these themes in depth. Participants choose one morning and one afternoon session, during which they will have a chance to learn from and interact with industry leaders in an intimate setting. The three morning sessions include “Broad-side,” led by Diller Scofidio + Renfro’s Kevin Rice, with Peter Arbour (Seele) and Matthew Ostrow (Diller Scofidio + Renfro). 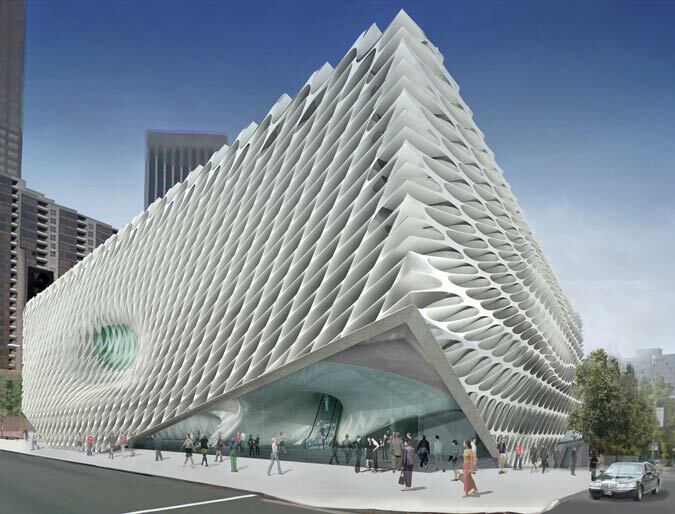 Using DS+R’s Broad Museum as a case study, the panelists will discuss the processes and techniques of glass fiber reinforced concrete (GFRC) facade design. Richard Green of Front, Inc. will coordinate “An ASTM Structural Glass Standard: The Need, the Philosophy, and the Direction” with Michael Ludvik (M. Ludvik Engineering), Louis Moreau (Agnora), and Keith Boswell (SOM). This workshop will explore the history of architectural glass and its resistance to use beyond window applications, and will provide an overview of efforts by the American Society for Testing and Materials (ASTM) to develop structural glass standards. In the final morning Dialog Workshop, “Facade Health(care): Extended Building Envelope Lifespans through Permanence, Adaptability, and De-Generation,” presenters Kevin Kavanagh and Alex Korter of CO Architects will look at examples of successful healthcare facade designs and how their lessons might be applied to envelope design more generally. The afternoon Dialog Workshops include “Facade Metrics and Resilience: Real Life Difference During Times of Crisis,” coordinated by SOM’s Christoph Timm with panelists Nico Kinzi (Atelier Ten), Teresa Rainey (SOM), Daniel Vos (Heintges), Michel Michno (CH Holding), Markus Shulte (Arup), and John Lee (NYC Dept. of Buildings). The panelists will outline if-then design scenarios relating to today’s top environmental challenges, including extreme weather, man-made disasters, migration, and sociological changes. Mic Patterson (Enclos) and Bruce Milley (Guardian Industries) will co-coordinate “Reflections on Glass: The Aesthetics of Reflected Light” with panelist Tim Singel (Guardian Industries). The workshop will examine the visual behavior of architectural glass, including reflectivity and color, and will offer a first look at a new glass visualization tool developed by Guardian Industries. The third afternoon workshop, “Energy and the Envelope,” will by coordinated by Dr. Forrest Meggers (Princeton University) with panelists Cecil Scheib (Urban Green Council), Alejandro Zaera-Polo (AZPML & Princeton SoA), Erik Olsen (Transsolar), and Anna Dyson (CASE). The panelists will discuss facade design for environmental performance, asking how we might move beyond thick, insulated, stand-alone facades and toward building systems that treat the facade as an integral part of an overall environmental strategy. For more information on facades+PERFORMANCE Dialog Workshops, visit the event page. To register, click here.